Inbound is one of the first things you will come across when you do your research into digital marketing. Despite its apparent popularity, very little is known about inbound marketing. While this is a topic usually covered in a good DMCA course, not all digital marketing specialists can explain how inbound marketing can help you. So, what exactly is inbound marketing? Is it just a marketing gimmick? Will it help your brand or business? These are some of the questions we aim to answer in this article. Inbound marketing is a practice and methodology that focuses on nurturing strangers into visitors, visitors into leads, leads into customers and finally customers into promoters of products and services. Inbound marketing does so through content marketing, social media marketing, search engine optimization, and branding. Essentially, inbound marketing seeks to deliver the right content in the right context, in order to aid a prospects decision-making process. The emphasis is on sending a message (CONTENT) that is targeted to an individual in a specific stage of the marketing/sales funnel and sending the message everywhere that the target or prospects can be found. How do you link your marketing funnel to your content strategy? If you have had any experience with marketing or sales for that matter, then you will be aware that quite rarely will a visitor actually come to your website and then immediately purchase a product or sign up for a service. Ordinarily, a visitor will need some convincing before they are ready to take the necessary action to ‘buy-in’ to what you have on offer. In marketing jargon, this is what ‘converting’ visitors is all about. A potential customer starts their journey with you as a stranger and slowly but surely finds out more about you by engaging with your content as they decide whether they are going to ‘buy-in’ to what you have on offer. In reality, the marketing funnel is not always standard or clear-cut. Basically, depending on certain factors including; your target audience, conversion goals, industry/business etc., you will have to adapt your marketing funnel accordingly. For example, ‘buy-in’ on one hand could mean signing up for a subscription while on the other hand, it could mean purchasing a physical item. Your funnel may be different in either case. With that said, essentially, your job as a marketer is to align a ‘buyer’s’ journey through the marketing funnel by providing the right content, to the right person and at the right time, when they are looking for it. The content should definitely be relevant and captivating and should be served in the most user-friendly manner or else you risk losing your visitors attention and motivation to take your desired action. According to the Content Marketing Institute, 82% of B2B marketers use content marketing as part of their overall inbound marketing strategy. There is, therefore, no doubt that creating engaging content is the fuel behind inbound marketing techniques whether it is SEO, Email marketing, Social Media Marketing(SMM), Paid Search marketing or Conversion Rate Optimization(CRO). The benefit of a content strategy is that unlike SEO, SMM, CRO, email marketing etc., the focus in on unifying all digital marketing communications to support gaining customers, growing the customer base, while retaining customers as well. With SEO, CRO email marketing etc., the focus is generally to improve each channel in isolation. Running a content marketing capability audit and setting goals. Creating your content marketing strategy. Just in case you are wondering, a content strategy and content marketing are used interchangeably when in actual fact they are not exactly the same thing. With a content strategy, the focus is on the vision or the ‘how’ and ‘why’ content is created, managed, updated or archived. Content Strategy, therefore, focuses on governance and internal guidelines. Content Marketing, on the other hand, focuses on tactics and execution or actions of creating, curating, promoting, iterating and editing content meant for marketing purposes. They are different but they most certainly complement each other. With that said, for argument’s sake, when we talk about the content strategy you can assume that we are discussing content marketing strategies, or where content strategies and content marketing overlaps. The top of the funnel is the where you begin to build a connection between the topic and your brand. Your audience has a challenge or issue they are trying to resolve and they are looking for answers. You want to provide the answers by gently nudging them towards your solutions. The answers can be in the form of opinions, research data, education, insights and other resources. Using keywords and key phrases in blogs to draw people to your content hub. At this stage, the content should be visually engaging and shareworthy. This can be done by integrating a psychological appeal to the content. Also, remember that content should be specific to your different audiences. If your audience finds the content useful, then they will continue their journey to the middle of the funnel or the consideration stage. Once you capture the person’s attention from the Awareness stage, this stage is where you can actually educate and engage them. At this stage, you are already building followers and subscribers. Essentially, your audience is more aware of the problem or challenge that they have, they are aware that there are some solutions and they are trying to look for the best solution. Create detailed content to demonstrate your proficiency and capabilities but leave your audience wanting more. Webinars, live interactions, and Guides are great at this stage. Partner and collaborate with influencers or people that your audience trusts. Respond to comments or queries from your audience and make sure that you have a strong brand voice. Your job here is to engage your audience, nurture them and build a relationship based on trust. As such, if your solution is not the right one for them, then you should let them know this. If it is the right one for them, then they can confidently move to the next phase of the funnel. At this stage, your audience will often make a purchase decision so that they can become your customer or not. You should still provide the right content at this stage in order to cement trust and therefore greatly impact the conversion rate. Compelling content to seal the deal including; demos, downloads, trial offers, etc. In as much as content marketing is the fuel behind inbound marketing, there is definitely a lot more that needs to be addressed for success in inbound marketing. Having a step-by-step plan that integrates all the important components of an inbound marketing strategy is critical. Since your inbound marketing strategy will be specific to your needs you need to have a thorough understanding of what inbound marketing is all about. This will allow you to take a more intuitive approach that is tailored to your needs. 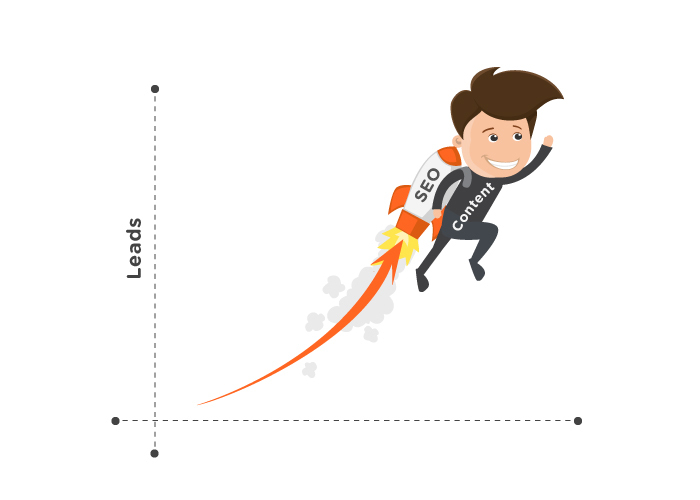 It is unlikely that you will do all that is required by your inbound strategy by yourself. You will, therefore, need a team to help you plan and execute. Tea members may include; content copywriter, marketing strategist, web developer, designer. Assessing your current marketing strategy will help you to understand and acknowledge current and future; budgets, tasks and activities, resources and assets. First, they should be SMART (specific, measurable, attainable, realistic and timely). Secondly, the goals should be aligned with your overall business objectives. At this stage, you need to define your target audience by developing a buyer persona of your ideal customer. It should describe important aspects like; demographics, role, desired outcomes, problem, pain or challenges, the rest of their story or background. You then need to document the buyer’s journey describing their process from when they found you to when they decided to buy or not buy and why they chose to do so. AT this stage you should build a Launchpad website that reflects your inbound marketing strategy and lead generation efforts. The website should also reflect your goals. Essentially, at this stage, you need to publish your content. The content that you publish may include; blogs, social media content and engaging in conversations, offering premium content (calculators, eBooks, videos, and toolkits), webinars and other guest appearances. Once you publish your content you need ensure people are consuming it. You can promote your content or landing pages for your content in the following ways; social media, emails, make use of influencers, paid advertising, distribute your content in relevant forums and online communities. Monitor, evaluate, report, test and improve! Track different marketing metrics to gauge your performance. Generate insightful reports and seek to improve based on your findings. If you have the right tool to back the right inbound content strategy, the sky’s the limit for what you can achieve. If you have several different social media or community accounts or profiles managing all of them individually can be an overwhelming task. Tools in this category address tasks like; scheduling posts, creating content, repurposing content, engaging followers and interlocutors. 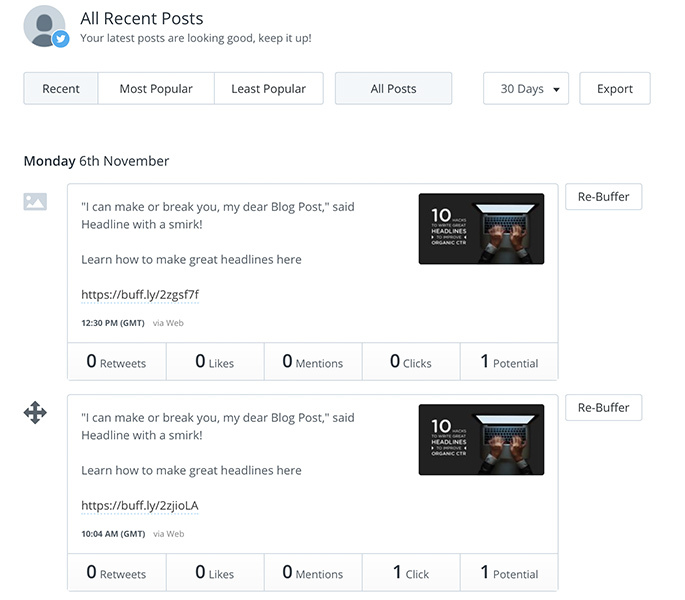 HootSuite: A paid tool for content marketing tool used to launch marketing campaigns and manage social media sites like Facebook, Twitter, LinkedIn, and WordPress. The tool costs $19 and upwards per month for different packages. 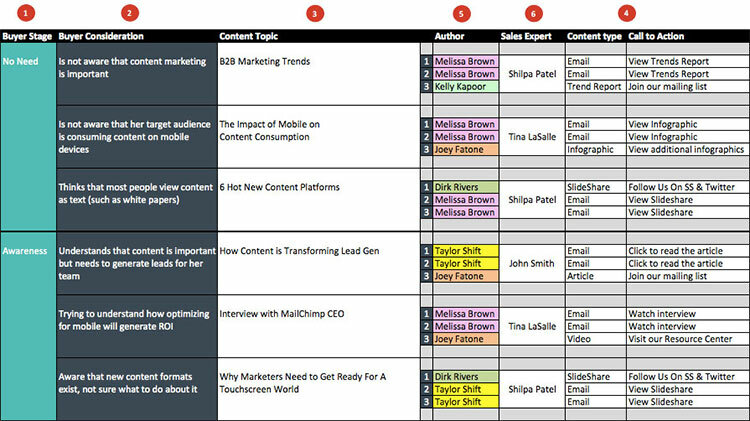 Inbound.org: This content tool helps marketers create their personalized content feed according to certain predefined tags like; keywords, location, category and so on. Other tools in this category include Quora, BuzzSumo, and Trapit among several others. Creating captivating content on a regular basis can be a full-time job. This is why it is important to have content collaboration and creation tools to help you to create and manage the content easier. CoSchedule: With this content management tool, you plan and queue social posts and other content months ahead so that is intelligently sent out at the best time for each network. The tool is offered at different cost levels from $9 a month to thousands of dollars a month. If you are struggling to get discovered or if you are a new business trying to gain traffic as you continue to build your inbound strategy, then paid promotion and paid promotion tools can be of great help. The tools mostly help to better target audiences and to quickly grow an audience base. Some tools insert content into relevant social media conversations while others promote sponsored content. Taboola: This promotion tool helps build brand awareness, build audiences and boost sales. Pricing for this tool is upon request. Outbrain: An advertising tool that helps publishers find interesting content. This content discovery tool also helps publisher’s carter to their mobile audience and monetizes their mobile assets. Pricing for this tool is upon request assessment. This is a tool that basically automates repetitive tasks. Repetitive tasks can include; website tasks (e.g. publishing), emailing, and social media activities among others. HubSpot: This is an all in one inbound marketing tool that integrates a content management system, email marketing, blogging, marketing automation, publishing and analytics, social analytics and so on. It’s offered for free but offers starter packages for as low as €46 per month and as high as €2,200 per month. These tools analyze and compare the performance of web pages and measure how audiences respond or behave towards content. Some other tools in this category provide solutions for Call-To-Action (CTA). BrightInfo: A content personalization tool that uses algorithms to learn individual behavior, measures it against crowd behavior and then presents the individual with relevant content in real time. Pricing for this tool is on request. Optimizely: This visual editing tool allows the user to edit content by clicking instead of coding. It also allows the user to generate variations of a web page and then tracks how customers respond to those variations. Pricing for this tool is on request. One of the most important categories of tools is the SEO analytics tools. SEO analytics is important for defining a good content strategy since it manages the demand while the actual content fulfills the demand. Tools here include tools that define keywords for blog posts. Yoast SEO: This SEO tool is considered to be the most popular SEO tool for the large WordPress community. It is a very useful tool for internal linking among other useful features. The tool costs $79 per website it is used in. Google Keyword Planner: This PPC tool combines what used to be two different tools offered by Google; AdWords Traffic Estimator and Google Keyword Tool. The tool helps users find relevant keywords for pay per click campaigns as well as find keyword trends, retrieve historical data, bid for keywords and so on. Other tools in this category include Ahrefs, Ubersuggest, SEMrush, Moz, Majestic, SEranking. There you have it, a simplified consolidation of inbound marketing. This form of marketing is extremely successful owing to just one basic principle – Give customers what they want. The focal point of inbound marketing is to focus your strategy and content on the needs of the customers and not the other way around. Keeping this mind will take your brand far. Reach out to us in the comment section in case we forgot something or just to say hi. Search Engine Optimization and Content Marketing are two aspects of the larger field of digital marketing. Digital marketing experts take opposing positions about where these topics stand. While some experts believe that Content Marketing has replaced SEO, others believe that Content Marketing and SEO are almost the same things. One thing is true, every good SEO specialist worth their dime knows the importance of good content in drawing attention to a website. SEO or Search Engine Optimization is a communication process between a person and search engine bots that crawl and index a website. When a website is optimized for search engines, bots understand what the content is about. 1. A search engine user – This refers to a person who looks to the internet for answers. This person uses the search engine to access information that could potentially help solve his or her problems. Chances are, you are reading this article because you used a search engine to answer your questions about SEO or content marketing. 2. The Search Engine – This is a program that connects people with questions to people with the right answers. The goal of a search engine is to provide users with the most relevant answers to their questions. 3. 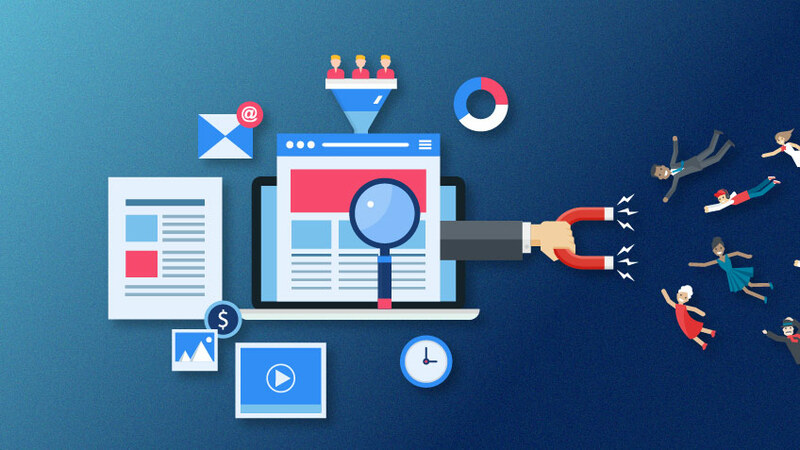 A website owner/SEO /Content Creator – Since the goal of the Search engine is to connect users to the most relevant answers, it needs to understand what your content is about to lead users your way. The best way to do this is to use words relevant to your content’s topic while writing. 1. On-site Optimization – Also known as On-Page Optimization. This is a major aspect of SEO that deserves its own post. It is also a passive marketing strategy where you follow the rules set by Google and optimize your web pages meeting all the webmaster’s guidelines to rank well. i. Site Navigation – This refers to a roadmap to your website. It is important to structure your website properly, so it is easy to follow and categorize. Sitemaps are important because Google ranks web pages and not Websites. So the better the relation between different web pages on your website, better the chance of getting ranked well in Google. ii. Relevant and Sufficient Content – Without relevant content, none of the SEO tactics you employ will work. Keep your content unique and relevant and people will come flocking to it. Add both target and related keywords to your articles. This way search engine bots know what to make of your article. 2. Off-site Optimization – Off-site Optimization refers to actions taken outside your website to improve your website’s search results. This type of optimization is an active marketing strategy where you take steps to increase the number of people who could potentially read your content. Backlinks acquisition, where an external website provides a link to your website. This helps your website establish its authority in your field. Social media marketing, where you distribute your content through social media platforms like Facebook and Twitter and expose your article to a large number of readers. Content marketing refers to the creation and the dispensing of materials that are meant to provide valuable information to your audience. While it is easy to do so, it is important to remember that content creation and content marketing are not the same. 1. Content – Creating material that is of use to your audience. This could mean anything from an ebook to a listicle. The point of creating content is that your audience learns something new about your field. 2. Marketing – Ok, so now you’ve written a great article. But how do you tell your readers you’ve written articles. No one is going to read it if they don’t know it exists. This is where marketing comes in. Marketing techniques are used to distribute your content, i.e, getting your content to your audience. You could inform your patrons through email, post it on Facebook or Tweet it out to people. At this point, it is important to remember that both SEO and Content Marketing are smaller pieces of a larger Digital Marketing jigsaw puzzle. You cannot get the whole picture if you don’t use all the pieces. So, what is the difference between Content Marketing and SEO? Well, the truth is, the two components of digital marketing hold a symbiotic relationship. One cannot survive without the other. Search engine optimization without content is near-impossible, while content without SEO gets buried under a rubble of unindexed pages. Search engines act as middlemen between your audience and you. They direct the right readers to the right content. This is where keywords come in. Keywords help search engines categorize your article correctly and bring people to your site. Keywords are terms that define what your content is about. For example, if you write an article about SEO tips that increase traffic, then using the keyword “SEO tips” within your article would help Google (a) identify what your article is about and (b) list your article as a response to the query “What SEO tips can I use to increase traffic”. So, if I want to search engine optimize my article, I would have to include the keywords a couple of times in my article, right? After Google’s Panda update in 2011, low-quality content is penalized by Google. This includes articles that use the same keyword excessively as well as shallow, low-quality articles. There are ways to right this wrong of course – Using LSI and Long-tail keywords help here. LSI or Latent Semantic Indexing refers to a Google algorithm that looks for words related to an article’s main topic. This is used by Google to derive context, i.e. understand what the article is about. For example, If your article is about the Chicago Cubs, then it helps to use baseball-related terms in the article. This way Google can categorize your article as baseball talk, rather than animal talk (if there is such a thing). According to Wordtracker, long-tail keywords are three to four keyword phrases which are very, very specific to whatever is being sold. If your article talks about apple pie, for example, a long-tail keyword that could be included is “easy online apple pie recipe”, or “online vegan apple pie recipe”. (b) The right audience will turn up at your doorstep – Using long-tail keywords will help filter out uninterested people right at the start, so people who are looking for something else (say, people looking to buy, not make, apple pie) will not be directed toward your site. While this may seem counterintuitive, bringing the wrong people to your site is a sure-as-hell way to increase your site’s bounce rates and reduce your site’s SEO value. Does SEO Impact Content Quality? Google’s Latent Semantic Indexing (LSI) is intended to improve your article’s quality. When used correctly, it does. Using related terms does give you a chance to add context to your content and make it more informative and relevant to your readers. But sometimes, it backfires. Every SEO content marketer has at, one point or another, inadvertently forced a keyword when not required, decreasing the readability of the article and making the sentence seem a little forced. For example – Including the sentence “Use this SEO checklist free” in my article would probably add SEO value to my article, especially if I am trying to rank for the keyword “SEO checklist free”. But from the content perspective, this could be really disastrous for your article. It could reduce your credibility and make your article seem salesy. Simply put, backlinks are links from one website to another. When website A includes a link to website B, then Website B is said to have a backlink from Website A.
Backlinks are an important aspect of search engine optimization. Backlinks increase the authority of your website and help raise your website’s ranking. Not all backlinks are created equal of course. Backlinks from authoritative sites are more beneficial than links from irrelevant sites. This means a backlink from a trustworthy website is more beneficial than many backlinks from irrelevant websites. In fact, getting a backlink from a blacklisted website could actually hurt your site (even if you have nothing to do with this). Thanks to this, it is important to perform a backlink audit to understand where your site is getting its backlinks from and get it removed. 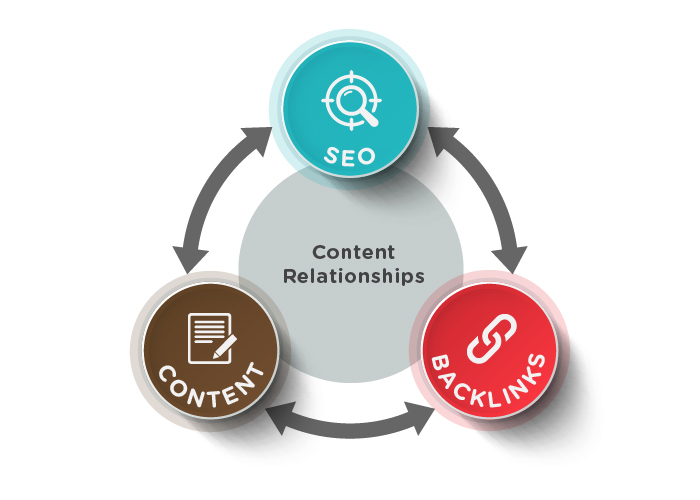 So, how are backlinks related to content? Content is key to getting quality backlinks. Without interesting and informative content, no website will send natural backlinks your way. The only way to improve the authority of your website, in this case, would be to buy backlinks. This could prove disastrous for your website and could result in getting blacklisted by Google. Without quality content, the bounce rate of your website will skyrocket. Bounce rates are high when more users leave your website after reading just one page. SEO and content marketing are the two hands of digital marketing. Believing that one can exist without the other is like saying that your right hand is more important than your left. As a digital marketer, it is important to make use of every tool in your kit. 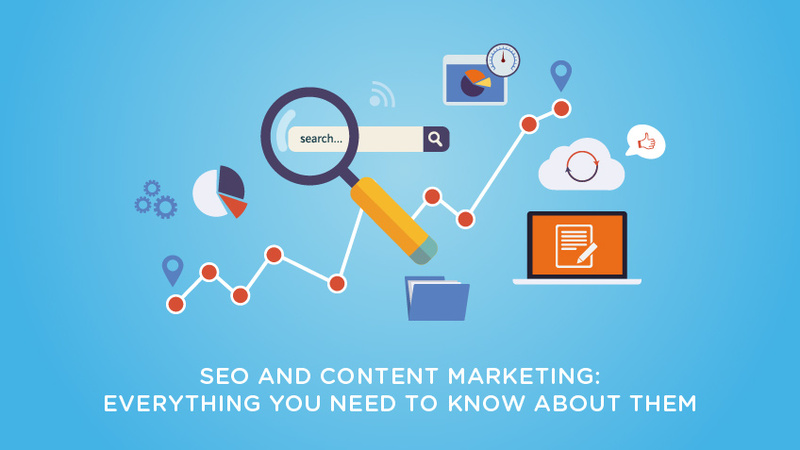 The right combination of SEO and Content Marketing can help take your site places. Don’t use them well and you could just end up in the much-dreaded 3rd or 4th page of search engine result pages. Social media has indeed become the best platform for communications and getting your views across to masses. The fact that every major news network, companies small and large, banks, charity and government organizations use social media for publicity is a clear indicator of its popularity. Companies like Old Spice have revived themselves with successful social media campaigns. It is precisely for these reasons that social media marketers are in super high demand by all companies. You too can become one by enrolling in these social media courses. Anyone that uses Facebook, Twitter, Instagram, YouTube and other common social media platforms are aware that specific content goes viral. Some cases of such viral posts include appeals for genuine causes as well as individual promotions by large brands. Hence the question – what is the secret behind such eye-catching content on social media? The very first step toward writing eye-catching content is to be well acquainted with the topics you wish to popularize. There are some tips you need to keep in mind to initially get followers through social media. Half-knowledge is dangerous and writing without comprehending something is unfair to your audience. Hence, it is vital to know as many facts as possible about the topic on which you will write. Once you know are well versed in your topic, the content you create becomes authoritative and exciting. People tend to read well-researched articles over mere opinions and spin. A satisfied reader will look for your content and eventually become an avid follower. Writing eye-catching content becomes extremely easy when you are comfortable with the topic. A common syndrome that is part of social media nowadays is characterized as the ‘flock mentality’ or the ‘me too’ bug. Everyone wants instant popularity and often, immediate monetization of their social media website. This copycat behavior is fair enough, provided you can write eye-catching content. An essential aspect of your content is the use of a suitable headline. Most people decide to read your article only when they like what your headline has to say. Use catchy words. To do so, you may need to stretch your creativity. Remember, it is your eye-catching headline that will get you more readers. While great content matters, catchy headlines matter more. Anyone who promotes his or her products and services realizes the importance of getting recognition from the masses. Here, it is vital to attract people through quality content as well as through the use of other social media tricks. Once you have targeted your audience, writing eye-catching content becomes a lot easier. Knowing their pulse and their chain of thought helps you identify subjects or topics about what they want to read. Pictures speak louder than words. And as the adage goes- “Seeing is believing.” The better the pictures are, the better your chances of making an eye-catching content is. Remember, photos and videos also create content. Often, people prefer to read lesser and watch more. It also lends that added punch to your content to make it catchy. The best way to source your pictures is yourself or search for free sites which have open source images. Often, you will be writing content about an issue that is close to your heart. In times like this, you could enlist the help of the people associated with the problem to find suitable images. You could even take pictures yourself. Taking videos and pictures today is more comfortable thanks to smartphones with high definition cameras. Additionally, a lot of amateur photographers and interns want to make their mark. All they require is a picture credit and maybe a small amount of money. The same holds true for videos. This is yet another way to write engaging content for social media. There are loads of fake news and distorted versions about events that are making rounds of the Internet. To write eye-catching content, you need to base your writings on facts and figures. Look for statistics and details of your topic on websites of high credibility. These include government organizations, global bodies, reputed universities and large companies. Any figures and features provided by sites that have impeccable reputations will work wonders for your articles’ credibility. Quote these in your content, but use phrases and words to make it your own. And don’t forget to cite these sources. You require content that caters to every age group and gender. You should not limit your audience to a particular age group, ethnic community or gender. Aim to cross all demographics and have universal appeal. Admittedly, some content you will write can be limited to a specific area or country. However, phrase your sentences in a manner that will attract readers from outside a particular geographical zone to also take an interest in your topic. Cite real-life examples of people who are involved or who have valuable experiences to share. Include their pictures or videos wherever possible. Human interest stories and real-life experiences make your content very catchy. Firstly, it works miracles for increasing the readability of your content and generates more interest than mere opinions or data would. A lot of people connected to your topic would be willing to share their views, opinions, and experiences. Of course, some may wish anonymity if the issue you are writing about is sensitive. However, your written content becomes an eye catcher if you add that vital human touch. Everyone is entitled to differences. Indeed, differences are the spice of our life. Writing eye-catching content requires you to avoid criticism about anything. The best way to do so is to stick to facts. Let your reader judge and draw their conclusions. Criticism of any sort tends to generate a negative feeling about your writing and makes seem biased. Understandably, you are entitled to your biases, views, and opinions. But washing the proverbial dirty linen in public- unless warranted- can prove counterproductive. Should you need to criticize anyone or anything, spin your words in a manner that reflect positivity and amicability. This way, you also earn respect from the other side of the fence, which increases your audience exponentially. Most bloggers and online content writers subject their works to something called Flesch English Readability Test. You can test your content and check whether it conforms to parameters defined in this test. The website is rather simple – all you need do is copy and paste your article into WordPress or other similar online resources, and the site measures the readability of your article. Remember, Flesch is also essential to score high on search engines. Natural and more straightforward language increases your chances of creating eye-catching content. Ensure that your reader does not have to reach for a dictionary or thesaurus while reading your material on social media. It can turn away potential followers. Read articles written by others in the same field before you get down to writing. This will help you catch the linguistic cues used by experts to attract readers to their sites. Pay particular attention to the choice of words, a flow of language, continuity between paragraphs, types of pictures and videos used by others. With little practice and proper judgment, you will be able to churn out eye-catching content for social media. Again, use what you read only as guidelines. Never imitate the style of others. Instead, develop your unique writing style. Author’s Bio – Pritam Nagrale is the founder of Moneyconnexion.com. He is a passionate blogger, SEO specialist and a Digital Marketer enthusiast. He takes pride in providing the latest content to his readers. What makes people decide which articles to read and which to ignore? How can you improve the CTR of your article? Most writers will tell you that headlines make or break your article. It doesn’t matter if your article contains the secret to eternal happiness, no one will read your article if you don’t have a great headline. 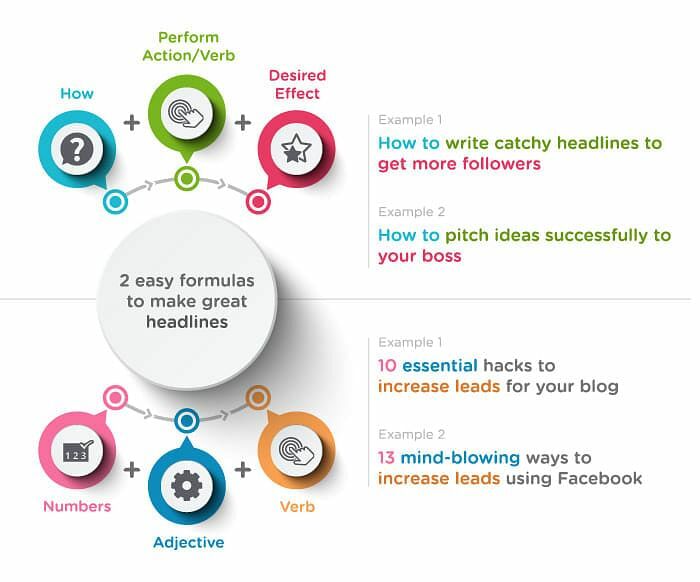 The infographic given below is designed to help you improve your website’s CTR by making great headlines. To convince readers to click-through your article, your headline needs to induce curiosity while being honest and simple. 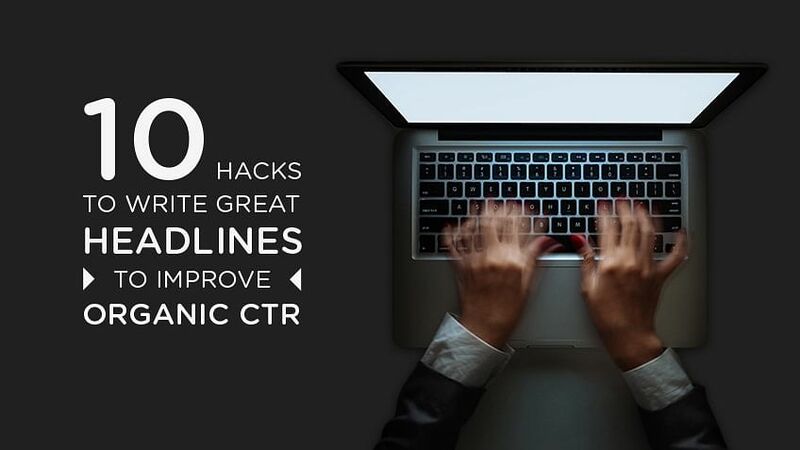 This article will guide you through some tricks that can be used to create good headlines that will improve the organic click-through rates for your website or blog. According to search engine people, 75% of Internet users don’t scroll beyond the first page of Google results. This is not surprising, given that Google’s algorithm gives you relevant results to your query in the first page. However, this means that you need to fight harder to put your article out there in the first page. For this, your headline needs to be search engine optimized. Of course, this applies to the article in general and not just the headlines, but why forego a chance to optimize your article wherever possible? 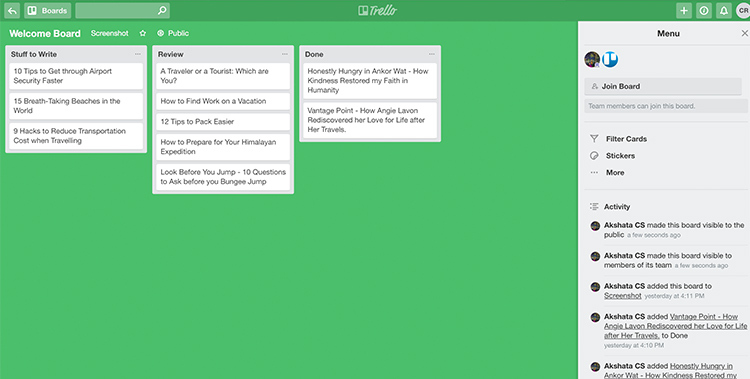 Use tools like Answer the Public and check what questions are being asked about the topic you are writing about. Try and structure your headline to answer a commonly asked question. This could help put your article right on top of the Google search results. Additionally, keep headlines short – preferably below 60 characters. Search engines won’t show the full headline if it is above 65 characters and this may reduce the effectiveness of your headlines. There is absolutely nothing wrong with the first headline. However, some experts believe that headlines with 8 words perform best for optimizing conversion rates. Headlines with numbers really do work! Additionally, smaller numbers work better than bigger ones. And for reasons unknown, odd numbers read better than even numbers. It is possible that people who see numbers in your headlines intrinsically feel like they gain quantifiable value when they read your article. Or maybe they feel like they know what they are getting into when they see a specific number in your headline. Take the headline of this article for example – When you read “10 hacks”, you get a sense of the countable benefits you gain from reading this article. Whatever the reason, use numbers whenever possible in your headline without forcing it. 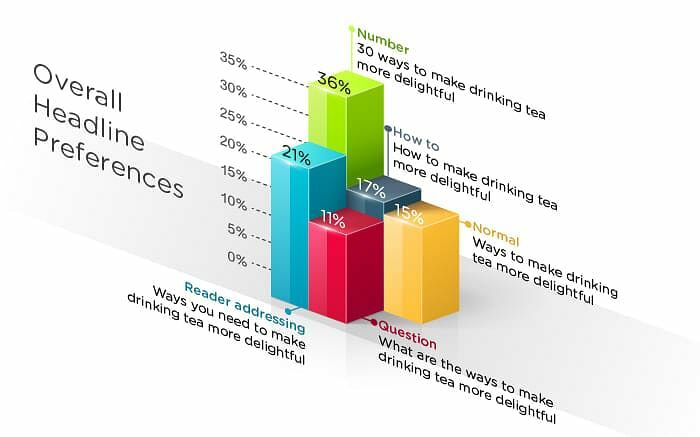 According to a survey by Conductor, 36% of all potential readers preferred articles with numbers in them. What’s more, 39% of women prefer enumerated numbers in them as compared to the 32% of men who took the survey. The study also shared some interesting headlines about the casing-preferences of headlines. Researchers saw an unexpected trend in this study. They found that a lot more people than they had anticipated liked headlines in upper casing. This means that headlines like “10 WAYS TO MAKE ART OUT OF SCRAP” appealed to an average of 1 out of 5 participants. Most articles are written for a specific audience. If you are writing about troubleshooting code errors, then your article should target people who deal with code. However, if your article is focused on helping beginners learn easy fixes to code errors, then your target audience would be, say, content writers who dabble in basic codes. Your headlines, in this case, cannot be filled with industry-specific jargon. Ask yourself what you would look for if you were in the place of your reader. If you are a beginner looking to make a simple HTML code fix, then you are likely to type “HTML code fixes for beginners. When constructing your headline, make sure that is clear and concise. If your headline is rambling and long without a concise objective, then it irks everyone who reads it. Think about how your article will be shared in social media websites – in sites like Twitter and Facebook, your headline is often the only thing seen. 10 Hacks to Get Rid of that Pesky Garden Insects – Identifies the problem of pesky garden insects and the provides the solutions to these problems. Trust is an important factor to consider when creating content. One major function of writing articles is to keep readers coming back for more. This cannot happen if your readers don’t trust you. Avoid creating headlines that create hype without substance to back it. A headline that reads “We didn’t believe it and you won’t either” is vague and most readers know better than to read your content. Readers don’t want to be tricked into reading anything. Remember the instinctive beliefs readers hold – If the headlines are vague, it’s because the content has nothing worthwhile to say. An interesting statistics we stumbled on in Hubspot is that 50% of search queries are four words or longer. Which means that when people type in a query, if your headline is a response to the query, then your article might just get ranked higher on the Google search page. Your headline that reads “ 12 Amazing DIY Supply Stores in Seattle” would be chosen by Google as a relevant answer if a user types the query “DIY Supplies in Seattle”. Additionally, sensationalism and headlines that exaggerate may work once, but would keep people from visiting your site again. This tip seems contradictory to the previous one, but this method does have its (sparing) use. This is a thin line to follow – the headline must pique the curiosity of readers without making exaggerating claims. While this form of headline structure is used everywhere, it is particularly useful in technology-based articles. Headlines that read “This technology has changed the way NASA looks at space exploration” would be an example of such a headline. This form of headline is borderline overused, so you should take care when using it. According to the Content Marketing Institute, headlines with a colon or a hyphen indicate the presence of a subtitle and works 9% better than regular headlines. Headlines with hyphens indicate an extra layer of information present in the article. This serves to increase the curiosity quotient of your readers. Other punctuation points are also useful. While copy editors cringe at the thought of ending a statement with more than one exclamation point, researchers show that headlines with 3 exclamation points doubled their chances at being clicked when compared to all other punctuations. The structure of headlines has changed over the years. While emotionally neutral headlines were preferred earlier, headlines today are structured to appeal to people’s emotions. These 10 mistakes are damaging children’s self-confidence, Are you making these mistakes? Parents who read this headline are instantly worried and are bound to click the link to check if they are part of the demographic mentioned in the article. A study by Outbrain tell us that the click-through rate for negatively headlined articles (The 10 Worst Foods to Give Your Dog) is better than the CTR for positive headlines (10 Foods that All Dogs Love). According to this study, articles headlined with negative superlatives performed 30% better than those headlines with no superlatives. Headlines with negative superlatives fared 63% better than those articles with positive superlatives. Psychology has an explanation for this – people are drawn to negativity because it serves to protect them from danger, while positive emotions make them disconnected. This does not mean that all headlines should ooze negativity. Marketers believe that while the CTR for negative headlines are higher; people are more likely to share headlines with positive words. No two writers have the same writing process. Play with different headline formulas that could help you create sure-fire ways of making good headlines. One successful formula used by writers is using call-to-action words like “Learn” or “Try”. Headlines with these words invoke a sense of urgency in readers that make them more likely to want to read your article. For example; People pay attention to headlines like “Stop What You’re Doing and Look at These Mind-Blowing Pictures of Solar Flares”. It is often difficult for writers to think of the best-possible adjectives to use in headlines. It is more likely that they think of good adjectives when they are working on something else. For this reason, it is suitable to make a list of adjectives and add to them whenever you think of new ones. It is best to make content that is adapted to new trends like voice searches. — 37% use Siri, 23% use Microsoft’s Cortana AI, and 19% use Amazon’s Alexa AI at least monthly. 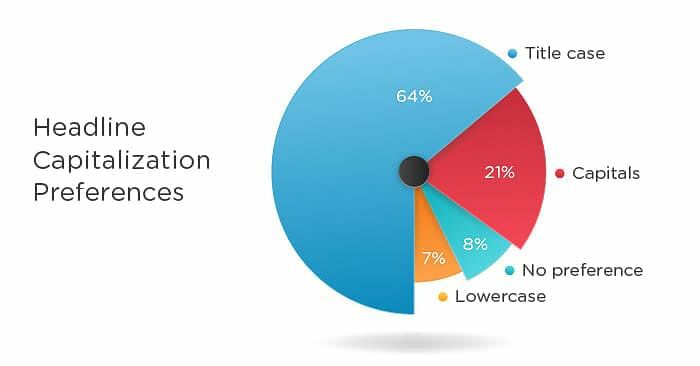 — 20% of search queries on Google’s mobile app and on Android devices are voice searches. — 43% of mobile voice search users do so because they say it is quicker than going on a website or using an app. People using voice searches are more likely to search for “Best restaurants in London” than they are to search for “Spectacular Restaurants in London”. When writing headlines, use words that are commonly used. These words may bore you as a writer, but for readers, they act as a link to familiar emotions and meanings. With several headlines vying to get their attention, readers aren’t going to spend more than a moment’s time in trying to decipher the intent behind your headline. At the end of the day, it is important to have fun with headlines, if you aren’t having fun with it, then your readers won’t either. If you have any other points to add, hit us up in the comments section. We’d love to hear from you! 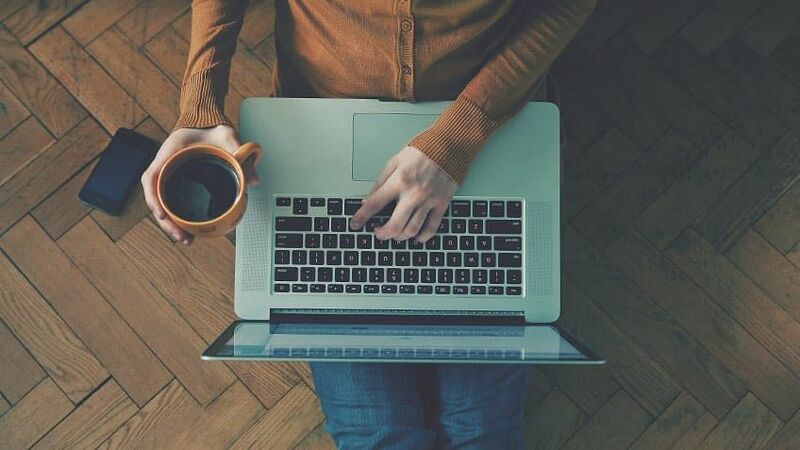 Over the last several years, marketing professionals have come to recognize the power of compelling content to engage their customers and drive traffic and brand awareness. As a result, marketers are being presented with countless new innovations designed to help in the creation, management, and distribution of content. The most successful marketers utilize several different channels for distributing content – tweets, Facebook posts, blog articles, Instagram, and more. While this broad approach to social media and content leads to better campaign results, it also creates a large organizational burden and an endless stream of tiny deadlines. 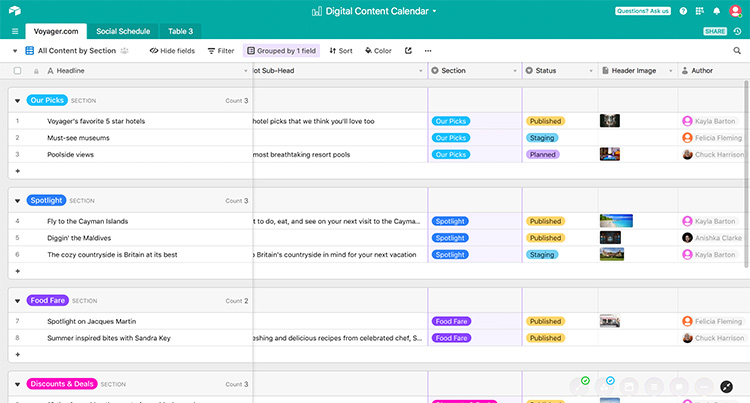 Recently, a variety of content calendar tools has emerged as a way to plan and automate the delivery of different types of content. As most marketing departments are eager to increase their focus on consistently delivering content across many different channels, familiarity and expertise with content management calendar tools will become even more important. Recently, there has been a lot of research providing insight into content marketing best practices. According to the Content Marketing Institute, 60% of the most successful marketers release new content every day, and 85% of content leaders release content on a consistent basis. What this shows is that, for any amount of content, the industry leaders will gain an edge through timing their delivery. Whether it is daily, weekly, or somewhere in between – there is a demonstrated benefit to utilizing content in a way that engages your audience on a regular basis. 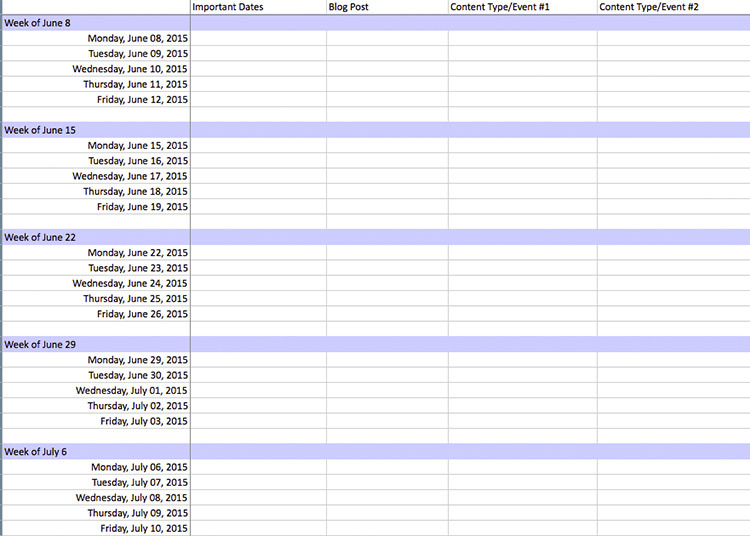 Dedicated use of a content calendar ensures you take advantage of this fact. Being able to shuffle around your planned content delivery with an eye towards consistency and regular engagement is a huge benefit all by itself. 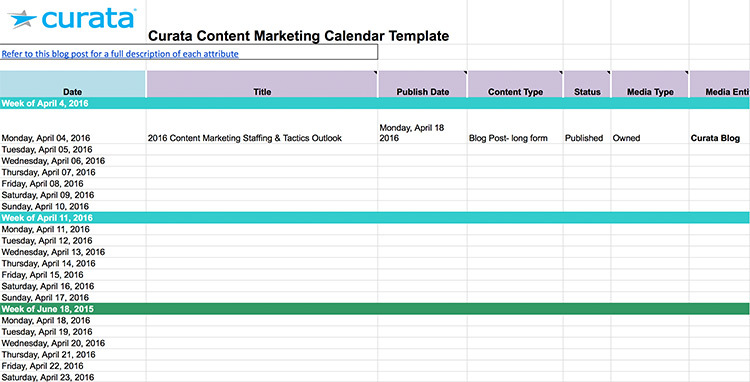 Since a content calendar template is built to organize and plan several types of content, marketers can easily add different delivery channels and content types into their regular rotation. The content marketers with the most impressive results use an average of 13 different marketing techniques. This means not only distributing content through different kinds platforms, but varying the format between short articles, infographics, videos, and more. It can be a headache to juggle different content types while also being mindful of the timing of the message and overlap with other campaigns. A centralized hub that displays all these different content types in one calendar format can make it a breeze to add new approaches to your content market roster. 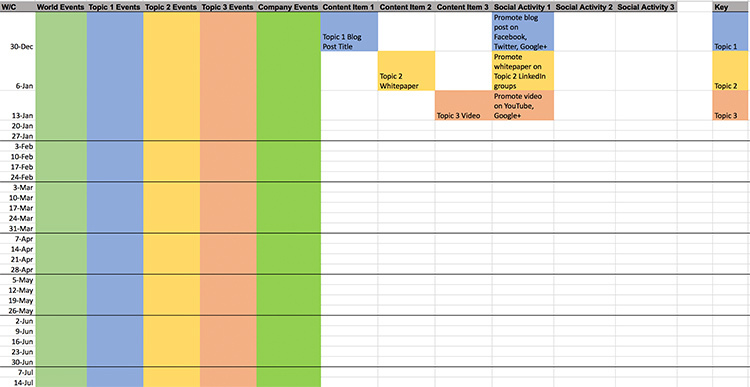 Setting up a great content calendar doesn’t require a tremendous amount of legwork or expensive software. In fact, there are several free spreadsheet and calendar tools that can help you quickly organize and plan your content delivery. 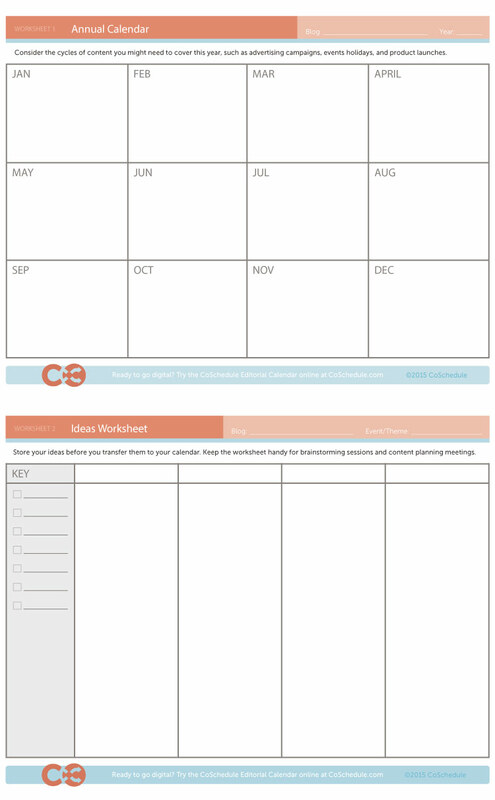 Being able to visually arrange and navigate a weekly, monthly, or yearly schedule of planned content can provide an instant level of clarity that would be impossible to achieve otherwise. Making strategic changes or shuffling around different tweets, posts, and videos become much easier when these changes can be put in the context of all the other simultaneous content channels. 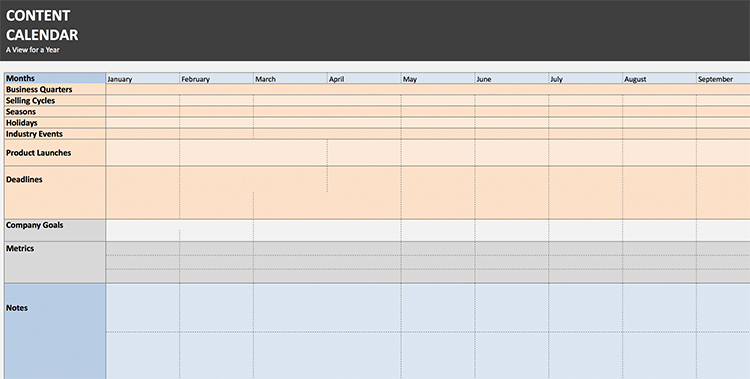 Even without using the deeper functions of content calendars, the boon to organization and planning is immense. Content can be planned days – or even weeks – in advance, and strategically timed to achieve maximum results. Deadlines for content creation will never be rushed because articles and posts will be confidently planned well ahead of delivery. This, in turn, will result in more consistency to content marketing efforts. Oh, and let’s not forget about timeliness. Regardless of your niche, there are always ways you can plan marketing campaigns around holidays to get tremendous ROI. 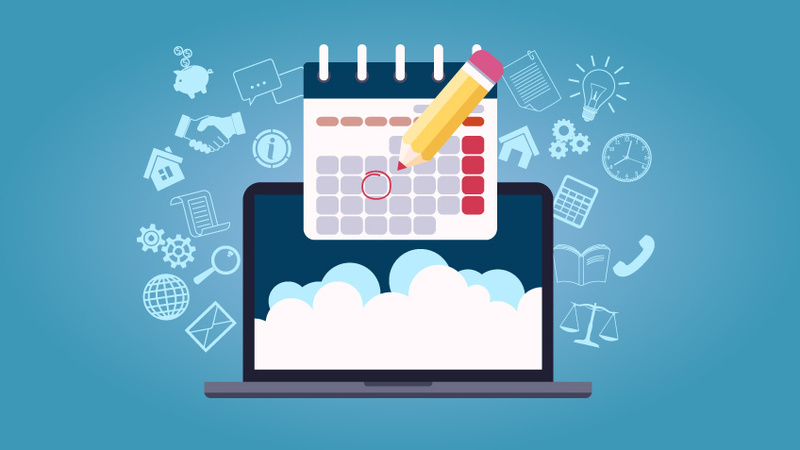 Content calendars are a perfect way to integrate these types of ‘micro-marketing’ campaigns into your overall marketing strategy. 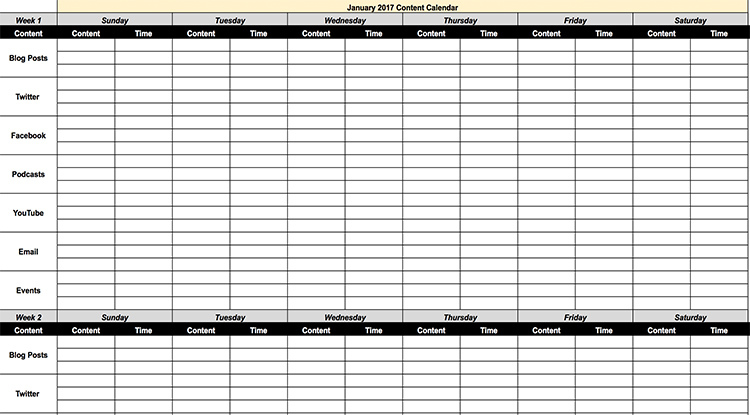 Most free content calendars provide templates and spreadsheets for tracking different content channels, but can also be customized to capture the organization’s delivery workflow. 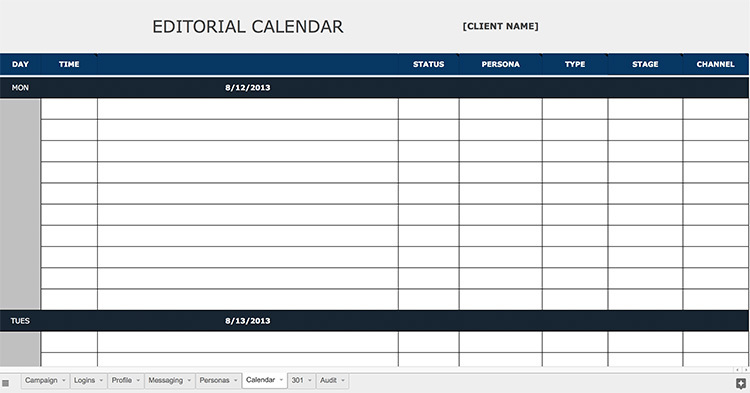 Columns can be added to show which team members are responsible for creating, editing, and publishing the content piece. With clever use of a content calendar, team strategy and individual deliverable details can be consolidated in one place. Workloads for teams and individuals can be synced with important business milestones and delivery goals to make sure that a plan is not only strategically well-conceived but also realistic and achievable. 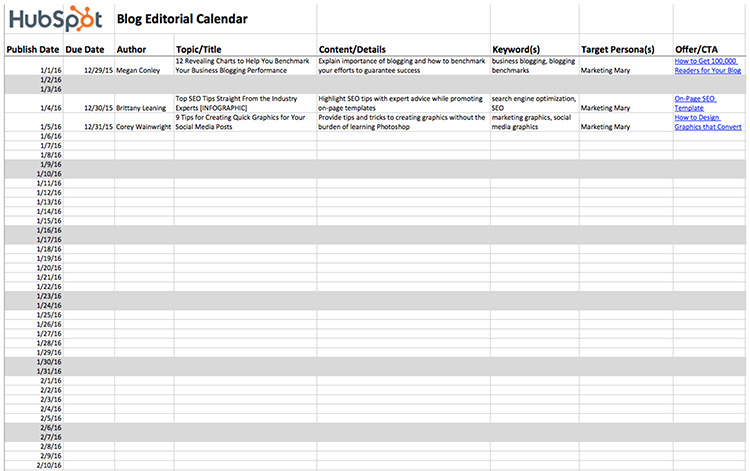 In the same way, most content calendar templates already include, or can be modified to include key metrics to track the success of a piece of content. Data about traffic generated, bounce rate, and sales can be correlated to specific blog pieces. This can help identify areas of opportunity for delivery times, methods, and format. This can be a handy addition to, or even a replacement of, the marketing department’s current reporting suite. Being able to see results of previous content delivery, and then move over one tab to plan future content delivery, can drive impressive results. Recent marketing data shows that the companies that spend the most effort on content creation and delivery have the best results. It is becoming increasingly important to tackle content efforts with focus and long-term planning as the goal of engaging customers becomes more competitive. Social networks have constantly changing algorithms which give preference to engagement. 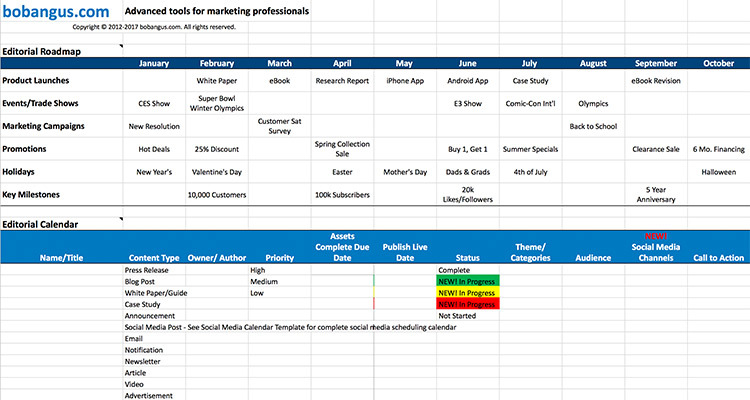 Once we’ve figured out as to what time and type of content work with an audience, a content calendar helps retain and push for growth in a disciplined manner. There are a plethora of great tools available that have been developed to capture campaign data and automate content delivery. 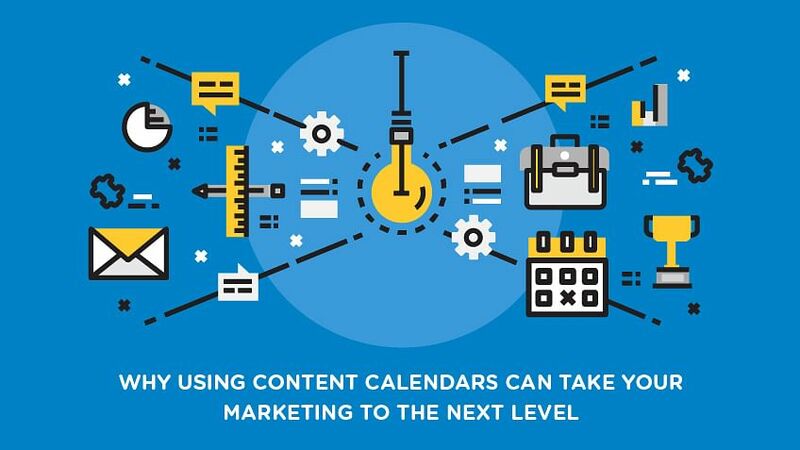 Incorporating free content calendars into your daily workflow and planning sessions is a valuable way to centralize content marketing strategy, delivery, and results in one place. 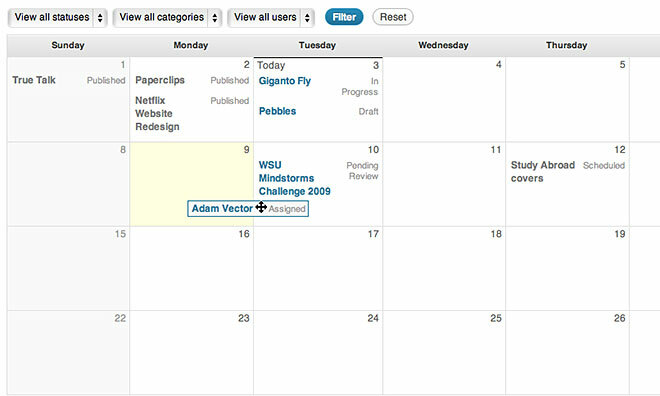 With their intuitive interfaces and low learning curve, content calendars can easily become invaluable. Matt Bailey shows you how identifying each of your audiences and engaging them in the appropriate way can save you time and money in this Marketing Automation video. In this lesson, you will learn how Marketing Automation can help you capture and nurture leads in a way that will grow your business. With this knowledge, you will be able to boost your user engagement, increase sales and leverage your time.